As a leader in organic plant-based ingredients, it’s only natural that our products meet the highest standards. 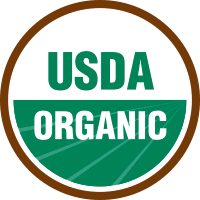 Certified by Quality Assurance International and USDA NOP guidelines, you can be sure that Bay State Milling organic ingredients are grown by farms that practice sustainable and renewable systems of agriculture. In addition, our long-term relationships with these farms ensure you always have a consistent supply of high quality products to support your clean label. Click here to view the Bay State Milling Company Organic Brochure.